After creating history by crossing the 3 million mark in domestic sales and growing 9.23%, during 2016-17 and 9.96% during March 2017, passenger vehicles have continued their growth streak during April, starting the financial year FY’18 on a promising note. A double digit growth has been reported by most of the passenger vehicle manufacturers on the back of new product launches led by utility vehicles while for two- wheeler segment growing urbanization in cities and towns revved up the demand. The commercial vehicle sector on the other hand witnessed a little downfall due to the rollout of the BS-IV emission norms from 1 April 2017 which resulted in price increase of BS-IV vehicles especially in the medium and heavy commercial vehicle segment and buses by 8-10%. In the passenger vehicle segment, Honda Cars India led the growth, recording the highest sales growth at 21.09% followed by market leader Maruti Suzuki India with an uptick of 13.97%. In two-wheelers two categories are set to drive industry growth - scooters and above250cc motorcycles. In the two-wheeler market, all OEMs have slid in terms of growth rates in Q1FY18 compared to the same quarter last year except for Suzuki Motorcycle India and Piaggio Vehicles. The commercial vehicle segment has seen a complete wash out with all the key players facing double digit declines in domestic sales except for M&M and Isuzu Motors. Another segment is the three-wheelers with Atul Auto alone bucking the trend by turning positive at 11.54% compared to a downslide of 12.1% in Q1 FY17. In addition, major commodity prices are on the downward path, vehicle finance rates are also stabilizing after being on the upward trajectory for a long time. The Society of Indian Automobile Manufacturers Association of India has indicated that with the economy moving on the growth path, an improvement is visible in the fortunes of the automotive industry in FY18. As ratio of Used Automotive to that of the New One is 1:1, Used Automotive Industry is also on the road towards growth. So if you are looking forward to acquire or dispose used vehicle or equipment at optimal prices, visit your nearby Shriram Automall today. You can also click the link below for convenient registration. KEEP YOUR FINGERS ON THE MOBILE TO BUY USED VEHICLES & EQUIPMENT WITH SHRIRAM AUTOMALL! It is hard to argue that today, mobile devices have become so important to our lives. In very early days of history, pigeons were used as means of communication. Later, written messages were sent through letters by post. As the time passed, telephone came into existence and then the era of wireless communication which gave rise to mobile phones. Mobiles are the latest way to communicate nowadays. Mobile Phones are now inexpensive, easy to use and comfortable & equipped with almost every latest feature we desire. From apparels to vehicles, people want the entire purchase cycle right in their hands. Mobile phones proved to be a big help even in case of vehicle buying. Just with the quick access and obvious convenience, it has become essential for tech friendly people. On the other hand, people have also become well aware of spending within their budget and looking for the best vehicle which they aspire for. Aggregators like ShriramAutomall India Limited (SAMIL) where one can find the right vehicle or equipment at the right price. SAMIL has become India’s largest service provider for exchange of used vehicles & equipment, with a presence in both physical and online Bidding Platforms. It has also gone digital and for the widespread use of their professional services for acquisition & disposal of used vehicles & equipment as they have launched the MySAMIL mobile application. The mobile application is related to end user technology comfort with advance features. With numerous benefits of the app, one can have the ease of looking around for their favorite vehicle at ease sitting anywhere in the globe. Convenient bidding: Participate in Live Bidding Events anytime from anywhere. User Friendly: Acquire the vehicle you desire from the comfort of your home by easy registration, uploading KYC details & submitting proxy. Easy Payment: Comfort of secure online payments directly from the app. Stay Updated: Get updates with latest information and news regarding the available vehicles and bidding events on your phone. Easy Download: Can be easily downloaded from Google Play Store & iTunes App Store for Free. So, if you are looking forward to buy or sell pre-owned vehicles and equipment, SAMIL- Mobile Application is right choice which provides you best of their services while making your experience both easy and comfortable. All you have to do is take a step forward and download the app from given link. 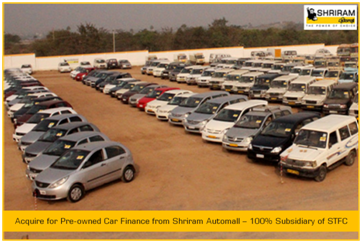 Shriram Automall, India’s leading service provider for the exchange of used vehicles & construction equipment. 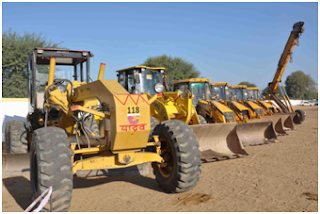 With the rise in demand of new equipment all over the country the equipment business with Shriram Automall is witnessing a year on year increase in this business segment with excavators, loaders & backhoe being the largest in demand under the segment. Economic slowdown since last couple of years have made most of construction business owners now prefer to search for used construction equipment instead of going for a new one that have a major difference in price. Shriram Automall has always believed in building trust and maintaining complete transparency in their bidding process, hence the result is that now the company is India’s Most Trusted Service provider for transactions of Pre-Owned vehicles & Equipment. Construction equipment do not only makes it easier to complete the project but also ensures the efficient use of labor, time and money. Shriram Automall caters to the every need with a wide variety, including hydraulic excavators, wheel loaders, loader backhoes, cranes, motor graders, crawler tractors, piling rigs, forklifts, Off-highway trucks and other mining machineries. Moreover SAMIL has now started its voyage towards capturing the interests of international buyers for the construction equipment segment. As the only company working towards organizing the highly unorganized market dedicated towards exchange of used vehicles & equipment for over 6 years. It brought forward innovative approach in form of its unique bidding platforms especially Physicaland Online Bidding along with Private Treaty and OneStop Kiosk for the acquisition and disposal of pre-owned vehicles and construction equipment. Its unique bidding platforms has helped all; an OEM or an individual, SAMIL’s professional services has touched the lives of many. Acquire Used Cars from SAMIL That Are Giving Best Mileage! Mileage is an important factor when buying a used car, but it is easy to overlook. You can get swept away in best mpg cars, or other measures of efficiency. Low or high mileage affects the value of the car at purchase and sale, as well as likely cost of maintenance and servicing. The average annual mileage is 12,000, so if a car has mileage somewhat less than 60,000 after five years it would be considered low. If it's much more, it would be classed as high. Mileage is considered high or low relative to the car's age. If you drive well below the average mileage each year, then although the car may be above average at purchase, it could be considered below average at sale. That means the opposite is also true. There is generally less wear and tear with low mileage cars, as long as the car has been cared for properly. Manufacturers are constantly striving for better Mileage ratings trying to be at the top of the pile with every new launch. Shriram AutomallIndia Limited (SAMIL) – The No.1 Used Vehicle and Equipment Platform in India while understanding the need of an hour provide the used vehicles of every make and model with high mileage. To acquire any of these or to look for more variety of used vehicles or equipment of other make and models visit your nearby Automall today. You can also place the bid through Live Bidding Facility from the comfort of your home or simply click the link below for easy registration. Tractor manufacturers who are disappointed over 28 per cent GST on majority of components have urged government to treat the industry at par with construction equipment, which comes in the slab of 18 percent bracket. According to Tractor Manufacturers Association (TMA) The present levy is of 28 percent GST on parts and components of tractors but parts and components of construction equipment, which are close kin to tractors especially under 80 HP, will attract only 18 per cent GST. Despite several representations both the sectors are similar when it comes to emission norms but different when it comes to GST. Tractor manufacturers were also upset over transition provision on stocks held at depots and dealerships. With hardly few days to go for GST regime, any delay in extending transition provision could increase tractor costs by Rs 30,000-34,000. Urgent clarity on extension of transition provision is therefore also awaited to understand the tractor GST regime. 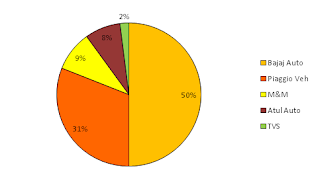 For tractors, the 12% is the output duty and 28% is the input duty so there are two kinds that could go on. If input duty gets lower there will be no concern at all & that representation has been made by the industry to the council and if they consider it’s going to be good. However, if the relief is not given at an input stage then also there is inverted duty which industry can claim as refund. In an inverted duty structure; if the duty itself comes down then there is no need to claim refund. So the only small problems could be on the spare parts side. 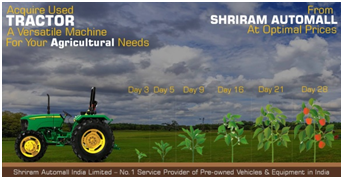 If you are looking forward to buy a used tractor or any other automotive per se, Shriram Automall India Limited(SAMIL) is the best OneStop solution where at optimal prices you can choose the desired used vehicle from the vast inventory. Company offers various mediums through which you can participate in its Physical Bidding Events i.e. “Desktop Bidding” & bidding through “MySAMIL App”. You can also click the link below to start the process much more conveniently. Looking for a Used Car Finance? Shriram Automall will not only finance your Used Car, but will also help you search for one from its wide range of every make and model. Choosing the right loan provider is just as important as finding the right pre-owned car. Therefore, at Shriram Automall, we make it as easy as possible to purchase an affordable used vehicle at the best EMI tenure. Company offer great car loan interest rates. So, you can take your pick from our wide collection of used cars from hatchbacks to premium sedans. Opting for a pre-owned car is a smart, value-for-money purchase! Why? Because the used car price allows you to step up to a nicer model not just that it is always recommended to polish your skills on used weapons and then go for the new ones – the saying is finding an apt application in used car segment today in India. Most of new drivers prefer to opt for pre-owned vehicles before investing huge money in new one. Though, acquiring financial help for used cars can turn out to be a bit of the head ache. Therefore Shriram Automall is the answer to all your doubts and queries. As at the Automall you can both acquire for your desired used car and finance facility for it. There are 2 factors that play a vital role in pre-owned car loans to be precise are its age & the model. For used financing in India, there are two types of financial bodies available that can help you in this cause: banks and non-banking financial companies (NBFC’s). Shriram Automall 100% subsidiary of Shriram Transport Finance Company (STFC) which is the largest asset financing NBFCs in India with a niche presence.Being a wholly subsidiary of STFC, SAMIL is providing customers with all the integrated services for best results. 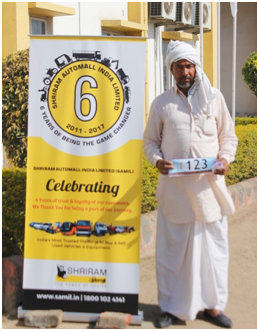 How Shriram Automall Made My Car Dream Come True! Car is one of those things all of us dream to own. We usually get it after reaching certain age. However, in my case I made it possible little early with the help of ShriramAutomall India Limited (SAMIL). I was in my final year in college, and I was looking to get a car for myself. I didn’t have a ton of money back then, so it was a little hard to find one. This being the case, so I decided to go for used car. But I wanted to purchase that vehicle that does not break down fast. I really appreciate one of my friends who shared the details about Shriram Automall India Limited (SAMIL). In spite of having many players in the market who are dealing in the same segment Shriram Automall has become the no.1 solution provider for providing used cars in good quality and at optimal prices. The company offered a variety of pre-owned cars of almost all makes & models ranging from SUV, hatchbacks & sedans. SAMIL has made the complete process so easy and accessible by providing me large number of inventories at a single place and by providing easy financing options. Their bidding events follow an organized procedure where in we can visit nearest Automall to inspect a range of used cars. Not only this, they also enhance the reach of used cars through their online bidding process which can be used while sitting anywhere in the globe. In fact, their private treaty platform enables us to make the transaction without participate in any bidding process with personalized approach and negotiated deals. Shriram Automall helped me to make a smart purchase & I got a good vehicle at an optimal price. So, if you are looking forward to buy or sell your used car, Shriram Automall is right choice which provides you best of their services while making your experience both easy and comfortable. It’s no new news that ratio of used vehicles to that of the new ones is 1:1.1, yes you heard me right used vehicle market as compared to the new one is witnessing a robust demand from past few years. With more and more people choosing to buy pre-owned vehicles instead of new ones, the used-vehicle market is likely to be double the size of the new car market by 2018. Used car sales in India at 3.22 million vehicles are 1.2 times the sales in the new car segment. More people are buying pre-owned cars as the market has become more organized. 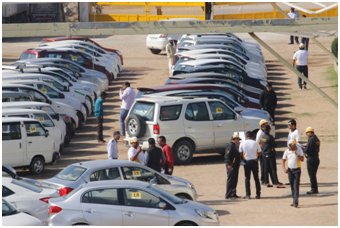 Shriram Automall India Limited (SAMIL), with utmost devotion since its inception in 2011, has very successfully organized the highly unorganized used vehicle sector. Company through its innovative platforms offers transparency at every step of the transaction while providing wide range of used vehicles and equipment of every make and model. Today we can see people acquiring pre-owned vehicles despite having money to buy new ones as company offers better used models then that of the new lower models at the same price. With a strong domestic growth for new vehicle sales during 2008-12, there has been an increased inventory of used vehicles. Several such trade-in cars are refurbished, thoroughly checked and put on sale usually with a warranty by organized players like SAMIL. Another reason for the growing used vehicle market is the increase in supply of used vehicles as most owners these days do not hang on to vehicles for more than three years. And with Shriram Automall in the market customers are able easily fetch a refurbished used car at less than half its original sticker price. So, if you are looking forward to acquire or dispose used Vehicles and equipment visit your nearby Automall today and opt for the used vehicle of your choice from the vast inventory. You can also Download MySAMILApp or click the link below for easy registration. Shriram Automall India Limited (SAMIL) the name that with the vision “to be the largest exchange platform for trading pre-owned vehicle having tangible physical presence spanning all major cities of India while providing high quality services to its customers” has marked its presence in entire country. Over the year’s company through exceptionally professional services, has transformed many lives, and now while moving forward to an extensive expansion plan company intends to cover up, rest of the major & minor locations in the country. By the end of FY 2017-18, company look forward to inaugurate 70+ Automalls, to help its customers buy or sell used vehicles and equipments in the most transparent and convenient manner. Talking about Tier 2 & Tier 3 cities, company through its efficient service has already, marked its presence in cities like Agra, Aligarh, Coimbatore, Dhanbad, Mangalore, Nagpur, Hosur, Solapur etc. in 67 with its well established Automalls helping people in & around these cities. 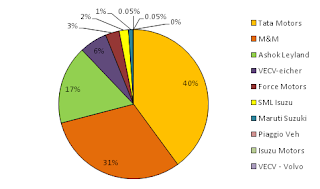 Talking about the Tier 2 & tier 3 cities, Automalls like Trichy, Madurai, Pondicherry, Salem, Tirunelveli, Coimbatore, Vijayawada, Warangal, Visakhapatnam, Hubli, Nellore, Patancheru and Rajahmundry generates majority of business for the company which is over 20% of the overall business. As demand for Agricultural Equipment, Passenger Vehicles & Two Wheelers in these cities is quite high. And being the leader of the used automotive and equipment industry, company tries to meet the demand both effectively and efficiently. With 68 well established Automalls and 150+ bidding locations in the country, we can imagine the hard work and dedication that company has put into the most unorganized used automotive sector; to make it the most transparently organized one. Quite remarkably, company has created a vast market for itself in the Tier 2 & Tier 3 cities, even after the people with the rigid choice & demand for particular vehicle in the area. As in metro cities, people are relatively easier to convince & persuade. They don’t come with a specific vehicle requirement in mind & can opt for other vehicle options in case of unavailability of a specific model. But while dealing with customers from Tier 2 & Tier 3 cities, process is little time consuming as they takes time in deciding the vehicle of their choice. They consider price as one of the most important factor before buying a vehicle. 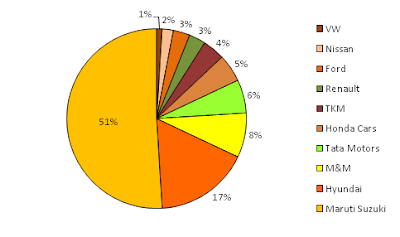 Majority of vehicles they demand are tractors & Passenger vehicles. 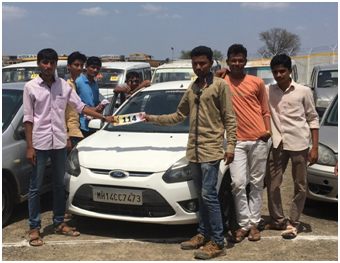 SAMIL, being the solution provider, makes sure to meet the demand of these customers, thereby becoming there No.1 choice, for all types of used vehicles and equipment requirement. Reaching out to customers in the ways, which will make customers learn more about the company, in an easy way is always have been company’s USP. Therefore, where company has advance options like website and mobile app, company prefers to do the Direct Marketing, as calling customers to inform about the bidding event often turns to be a fruitful medium. Other marketing activities include distribution of company handbills through local newspapers, company promotion through canopy at major markets & last but not the least SMS & e-mail communication about the details of any event. Through the recent initiative including special marketing activity at Transport Nagar, Transport Offices, and Famous Markets of the city helped the company to attract the desired crowd to its bidding events. 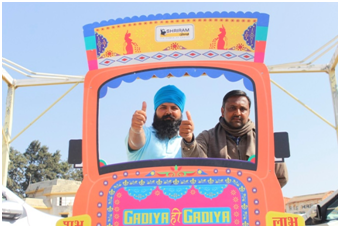 Special activities at Transport Nagar educate truck drivers about the company’s offering & help them buy or sell a used truck at competitive price whenever required. Activities at a local market educate family people to buy or sell used two wheeler & passenger vehicles easily through company’s unique bidding event. These activities, indeed has turned out to be successful as, for most of the customers in India, Shriram Automall has completely changed the way they used to look at the used auto market, while bringing efficiency, durability & reliability at their comfort at optimal prices while availing the facility of finance. So if you are an interested buyer or a seller of a used asset, trust me there is no player better than SAMIL, in this area. Visit your nearest Automall or download “MY SAMIL APP” to go through their latest inventory filled with used vehicles of every make & model. You can also click the link below to simply register yourself. Favorable monsoon is likely to brighten outlook for recovery in microfinance, and will be a boost for tractor and commercial vehicle loans. The monsoon season in India starts with the arrival of the rains on the southern Kerala coast around June 1. Its progress triggers planting of summer crops. After hitting the south coast, it takes about a week to cover the coffee, tea and rubber growing areas of south India. It spreads to the rice areas of eastern parts in the first 10 days. It usually covers half of the country in the first fortnight and enters the oil seed-producing areas of central India in the third week of June. Cotton areas in the western region get rains by the first week of July. It covers entire country by mid-July. Half of India's farm output comes from crops planted during the first half of the June-September season. Therefore with monsoon hitting in India, industry can expect the season to boost tractors & commercial vehicle demand. As the monsoon rains are vital for farm output and economic growth in India, the world's second-biggest producer of rice, wheat, sugar and cotton. Farm sector shares for about 15% of India's nearly $2 trillion economy i.e. Asia's third biggest. According to the India Meteorological Department (IMD) and private forecaster Skymet normal and well-distributed monsoon is expected i.e. rainfall is expected to be 96 per cent ±5 per cent of the long period average. With road transport being a major means of transporting agriculturally produced goods from the farms to the market, commercial vehicle operators are expected to benefit from a normal monsoon. If you as well are looking forward to boost your sales by making process of transporting good both easy and convenient, buy a used tractor or commercial vehicle from Shriram AutomallIndia Limited (SAMIL). Through sprawling 68 Automalls across the country, company offers used vehicles or equipment of every make and model at optimal prices. You can both visit your nearby Automall or click the link below to start the procedure. India is one of the Largest Automotive Market in the world. But do you know that this year, automotive market in its National Capital, New Delhi has increased robustly. In the city the number of registered vehicles has crossed the one crore mark. According to transport department of Delhi government puts the total number of registered vehicles at 1,05,67,712 till May 25 2017. And also there are 31,72,842 registered cars in the city. However, the two-wheelers in the city have the bigger number, when it comes to demand, market etc. As there are over 66,48,730 two-wheelers, scooters in the city. As we know that ratio of used automotives to that of the new ones has increased from 1:1 to 1:1.1, Demand for used vehicles in the city is also increasing surprisingly. Shriram Automall India Limited(SAMIL), the Largest Used Vehicle and Equipment provider in the country, witnessed the huge growth in demand itself. Other major categories of registered vehicles in the city include goods carriers (2,25,438), motor cab (1,18,424), moped (1,16,092), passenger three wheelers (1,06,082), goods three wheelers (68,692), buses (35,332), e-rickshaws (31,555) and maxi cabs (30,207), according to the data. With such an increase in demand, industries are looking forward to spend quite a sum of money on the launching the new models. Like in the commercial vehiclesegment, the investment of Rs 1500 crore will be spread over new launches, in the passenger vehicle segment, a sum of Rs 2500 crore will be injected to bring new products to the market. If you are an interested buyer, buyused vehicles and equipment of any make and model, anywhere in the country from your nearby Shriram Automall at optimal prices. As through innovatively transparent platforms, company provides the best services. For easy and convenient acquisition of your desired used vehicle, you can also download MySAMIL App, and participate in the live bidding event at your comfort or simply click the link below to start the process. According to a report by ICRA, India is positioned as the largest manufacturer as well as market for three wheelers, globally. 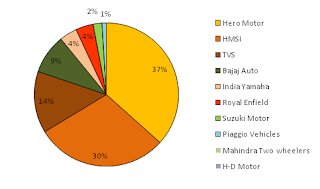 Over the past decade during FY 2006-15, the Indian three wheeler industry grew at compounded annual growth rate (CAGR) of 8.9 per cent in unit sales driven by steadily rising exports as well as domestic demand. Despite the fact that the usage of CNG is only mandatory in Delhi, the acceptance for CNG-based three wheelers has caught up in other cities as well. With the rapid expansion of taxis from Ola and Uber in most cities, one might expect sales of three-wheelers (auto rickshaw) to go down. Well, that's not the case. Three-wheelers, most of which are passenger carriers, have grown by a sharp 13.4 per cent in the first six months of FY17, higher than the 12.34 per cent growth seen in passengervehicles. Factors like compulsory use of CNG and its declining prices are aiding the demand for three-wheelers. Another reason is three-wheelers provide last-mile connectivity at affordable rates and therefore there is a potential for sales to grow. Ratio of new three-wheeler sold; to that of the old ones is 1:1. This means that people are equally interested in going for a properly maintained pre owned three-wheeler as compared to investing in a new one. With the increasing demand for three-wheelers and in spite of having many players in the market who are dealing in the same segment Shriram Automall India Limited (SAMIL) has become the no.1 solution provider for both public and private enterprises. Shriram Automall has become the largest player and first choice of the market through their huge inventory of pre-owned three wheelers in good quality and at reasonable rates. SAMIL makes the complete process so easy and accessible for their customers through their physical & onlinebidding concept. So, if you too are looking forward to buy a pre-owned three wheeler, Shriram Automall is right choice which provides you best of their services while making your experience both easy and comfortable. As Border Check Post Starts Disappearing Truck Movement Picked Up Pace! As state border barriers began to be dismantled after the goods and services tax (GST) which came into force on July 1, a truck from Chennai to Jamshedpur carrying tyres reached in three and a half days which earlier would have taken five days. After states abolished border check posts in the wake of GST, Many producers and transport operators has reported logistics efficiency gains. GST indeed is the tax system which promises one nation, one tax, one market. But while there's evidence of barriers going down, there is also enough indication that not all of officialdom seems to be on the same page. Regional Transport Office (RTO) employees are said to be stopping trucks and seeking monthly payments for various charges while mobile squads are making surprise checks and seeking payoffs. Yet there has been significant improvement in just about a week’s time. In the long run, people will see the substantial improvement in efficiency of the logistics sector. As the average truck speed is already up. More transparency will come with the E-Way bill. Fleet owners are happy as travel time has really came down the tankers which once used to take Six days to reach Uttarakhand from Odisha, now reach in just4 days. As before Trucks would spend hours at state borders, waiting to pay taxes, delays that encouraged corruption. Logistics cost may also decline by least 20% as in India logistics account for 14% of GDP as compared to that of 8.5% for US. New costs will come down as the ‘one nation, one market’ begins to take shape under GST. Since 22 states have already dismantled border checkpoints, the time for the movement of the goods from point to point has come down significantly. Shriram Automall India Limited(SAMIL) the No.1 Platform for Acquiring and Disposing Used Vehicles andEquipment in India offers widest range of used commercial vehicles for logistics. So if you are looking forward to increase your fleet. Visit your nearby Automall today or click the link below to register yourself. Shriram Automall Supports Women Empowerment! Women empowerment is the much-talked about issue today. Women are increasingly getting empowered to decide the course of their life and professions and realize their fullest potential. They are increasingly gaining control over taking their own decisions with regard to their education, career, profession and lifestyle. Women of this era has gained equal rights to their male counter parts in every facet of society by breaking the glass ceilings and pushing the society whole out of their old thinking. As the call for women empowerment gets louder, few major two-wheeler manufacturers are responding with an aim to create a culture where women can stand shoulder to shoulder with their male counterparts to contribute to the growth of the companies. Most importantly, the companies found that not only women were as good as men in manufacturing jobs, their presence improved working atmosphere at the shop floors. Similarly, number one solution provider for all the deals related to exchange of used vehicles & equipment, Shriram AutomallIndia Limited (SAMIL) isn't allowing itself to lag behind on this front as well. Ms. Jyoti Jain (National Head-Marketing, Shriram Automall India Limited) paints a picture of ‘empowered women’ which is far bigger & richer than the prevailing business culture would ever suggest. With over 12 years of experience in marketing, she has created a name for herself in the pre-owned Automobile Industry. Ms. Jyoti has helped this male driven segment to reach new heights by helping the company acquire over half a million customer base by leading organized marketing events and conducting awareness campaigns to generate revenue in every possible way. For her remarkable growth and result oriented efforts towards the company and country’s economy she has been honored with many awards. Thus, in today’s era, there is no segment where women through their hard work and commitment have not bought change. However, if you are looking forward to buy or sell used vehicles & equipment, Shriram Automall is right choice which provides you best of their services while making your experience both easy and comfortable.